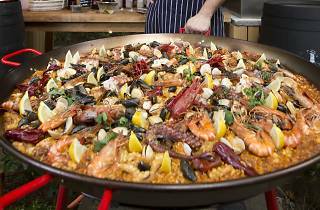 UNA Noche, the Rochester Park Mediterranean restaurant's eating extravaganza ($65), returns for a second feeding. 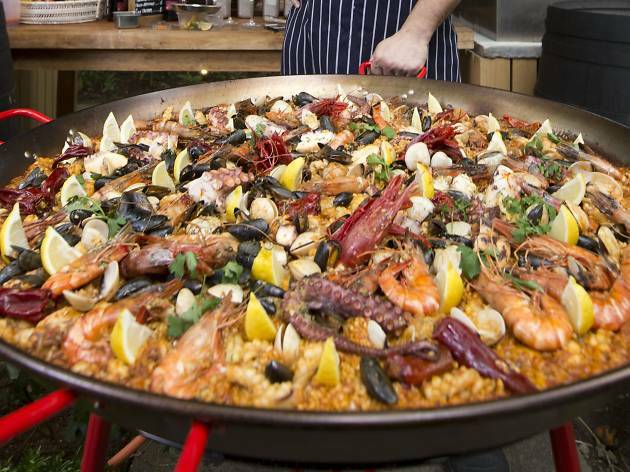 Dine from food stations around UNA's garden, knocking out tapas, parrilla-grilled meats and seafood, and chef Jean-Phillippe Patruno's paella, served out of a huge bubbling pan cooked alfresco. To beat the heat, lug on big brand beers from around the world at $10 a pop, cocktails (from $10), sangria ($12), sherry and wines (from $12).